21/10/15 - Uygun fiyatlı ve kaliteli - Kaan Evran, sipariş ederken biraz tereddütüm vardı, ancak çok güzel çıktı, sorunsuz kullanıyorum. 28/10/15 - - Kubilay Akpınar, Korkum yersizmiş gerçekten klon diye sıkıntı olabilir diyodum ama gayet güzel çalışıyor. hızlı kargo için teşekkürler robotistan. 20/12/16 - Mac OS Sürücüleri hk. - null null, Merhabalar, Mac OS Sierra ile uyumlu sürücüler ile ilgili yaptığınız açıklama için teşekkür ederiz. Ürün açıklamasındaki link, sizin verdiğiniz link ile güncellenmiştir. Pay Less For Clone One!! Arduino Uno R3 is the clone one of the latest version of Arduino Uno with an on-board CH340 usb - serial converter chip. Even there are some little differences respect to original one, it is almost the same in terms of usage and software. 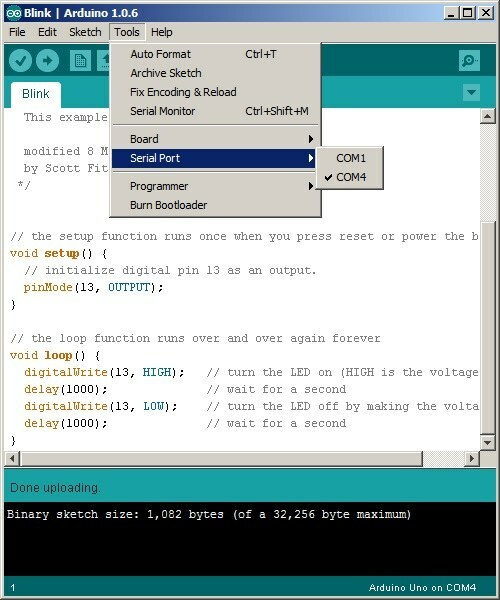 This provides you a cheaper opportunitiy to get started with Arduino boards. 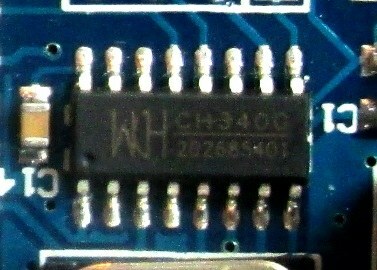 The microcontroller model of this board is the same as the original one (Atmega328). The only difference between microcontrollers is ther package. Original one has a DIP package but the clone one has SMD package microcontroller. We offer working warranty for this product as we offer the for the original one. so, you may trust to use this cheaper clone board. Untill now, we have not seen any problem of using this board but, if you see any problems we offer ralunda or exchange too. Despite being a clone one, there are a pin group (4x GND, 2x 5 V, 2x 3.3 V, 1x RX/TX, 1x SCL/SDA) near to the crystal oscillator and there are external pin holes allow you to solder male headers on the board too. This feature provides a better application experiance for you. Extra - added pins are listed below. Additionally, the product comes with 2 x 20 male-male header for these holes. The main difference of this board is having 12 - extra pin holes on-board. These pins are RX/TX, SCL/SDA, 3.3V / 5 V, and gnd pins that are not found enuogh on the original board. You may use these pins by soldering external male or female headers. On the letest clone boards of Arduino, the USB CH340 serial converter has been used instead of standart 16u2 or FTDI chip on the original UNO. The popular usb to serial chip CH340 works well and its drivers is already installed on Win 8+ and Linux. Unfotunately if you use Win 7 or MAC OS X you need to install your drivers manually. You can download your CH340 Driver to operate faster and more stabile on Win 7 and Win 8 by clicking here. To install CH340 driver on Win 7, click on the link, extract the files from the zip, go to CH341SER folder and open setup.exe. If you use MAC, i wish this link will help you. After you did all of these, plug your board, choose the new COM port on the Arduino IDE - Serial port menu, than your Arduino is ready to be programmed. Arduino is an open - source, physical programming platfrom executes input - output applications with peripherals using Processing / Wiring language. You may develop interactive applications with Arduino. Meanwhile, you are able to use the arduino by communicating with computer via Flash, Processing, MaxMSP, C Sharp with using no additional applications. You are able to download open - source interface software from Arduino site for Windows, Max OS X and Linux platforms. 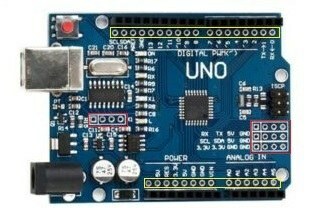 Arduino Uno R3 is the latest version of Arduino Uno and this board supports every former features on previous boards (Uno, Duemilanove). On Arduino Uno R3, 16u2 serial chip is used rather then 8u2 chip like on the other models. By this way, switching data has became more possible by using less amount of memory. No any drivers needed on MAC and Linux computers to connect Arduino to the computer but on Windows systems you will need to introduce inf file (came with Arduino IDE) to the computer. By this way you may introduce your arduino to the computer as keyboard or mouse. Uno R3 has extra SDA and SCL pins, these pins can be found next to AREF pin on the mapping. Moreover, on the new revision two new pins are added next to reset pin on the board. One is the IOREF pin to provide supply voltage for shields and the other one is connect - less pin to use later when it is needed. Uno R3 is compatible with all shield on the market and will be compatible too for the other shields will be produced in future.